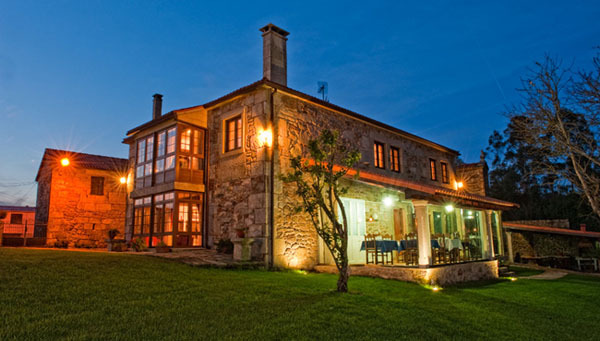 The historic Casa de Trillo, is in Santa Mariña, a small village belonging to the municipality of Muxía that still preserves the essence of tradition. In deep rural Galicia lies the chapel dedicated to Santa Mariña, the windmill, fountains, cruise ship, and paths that surround it, all form part of this rich landscape where it's easy to witness agrarian, cattle and forestal activities in every corner. We will offer our intellect on Galician history through the illustrious characters that have come out of this house, and the ancient documents that are still preserved, all of which will give us a notion of what Galician society was like during the last five centuries. Your stay at the house will also give you the opportunity of getting to know the craftsmanship of Costa da Morte, through the products that will be present here for decoration purposes, or exhibited and on sale also.
. Hiking in the surrounding areas.
. Certificación de Compromiso de Calidad Turística (commited to offering quality tourism services) Aprroved by Central Government and Xunta de Galicia- local government.
. Recommended by El Pais, Aguilar and Top Rural.
. Member of world movement Slow Food. 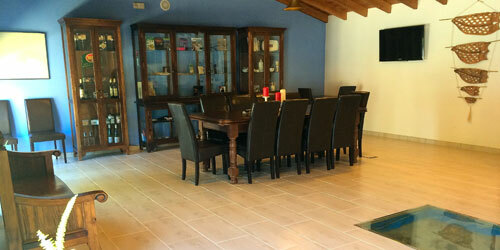 We have a multifunctional conference room for groups of 20 people. It has a work desk, chairs and screen with computer connection. 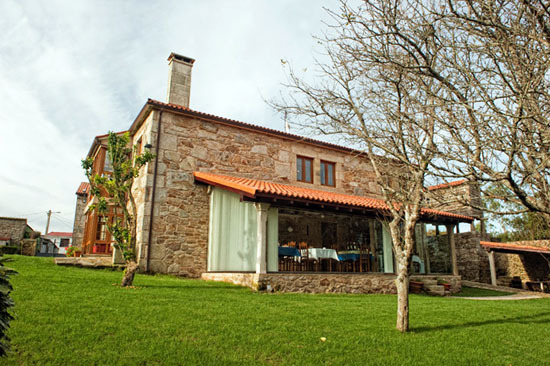 At Casa de Trillo we want to open the door to the essence of Costa da Morte and to Galician rural life. We are aware that time is precious, and our objective is to convert our guests days of rest into an authentic reality, peaceful, calm, without any pressures or noise. And to be in direct contact with nature and our people. For this you can count on our personal assistance, our facilities and the routes we propose. Nevertheless, we must warn you that if you don't like the countryside, this place won't be for you; if you're looking for the commodities of big cities, this is not for you; and if you prefer an extractor fan to a fireplace, then definately Casa de Trillo is not a place for you. Apart from enjoying great gastronomy, in Costa da Morte you will be able to get near to its rich heritage, tangible and intangible and to a magical worl of ancestral leyends. Your imagination will wander around the dolmens, ancient fortified settlements, castles, rivers, hearth fires or the sands of the seas. You wil travel through paths that in days gone by allowed thousands of pilgrims to watch the sun die, and where Hermes let the souls of the dead sail away so they could reach the island of Eternal Happiness.